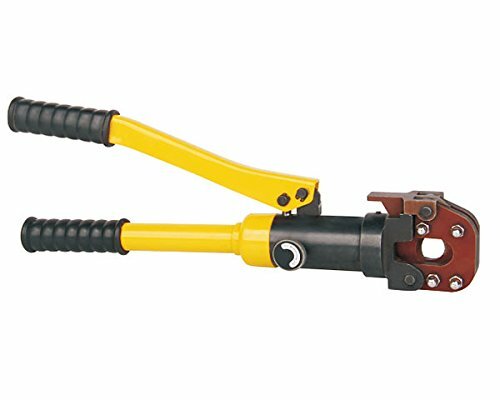 332-HK520 Features: -Thumb release lever for quick blade retraction. -Cutting head rotates 180 degrees. -Cutting Cap. 2: 11/16 in. - Soft Steel Bolts, 3/4 in. 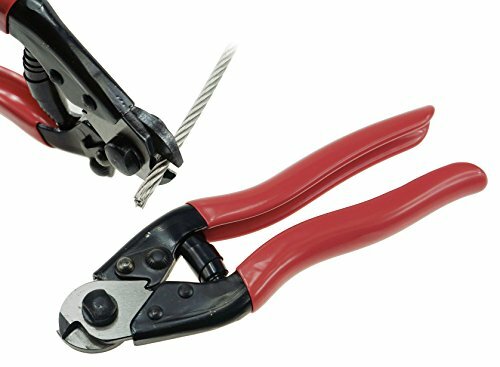 - Wire Rope, 336.4 kcmil - ACSR, 7/16 in. - Rebar. -Wt. : 5.70 lb. Use: -Cut Out Tools. Generic Dimensions: -Overall Length: 14 1/2 in. Dimensions: Overall Product Weight: -1.5 Pounds. Capable of 5 ton of pressure per cut. Comes in a metal carrying case. 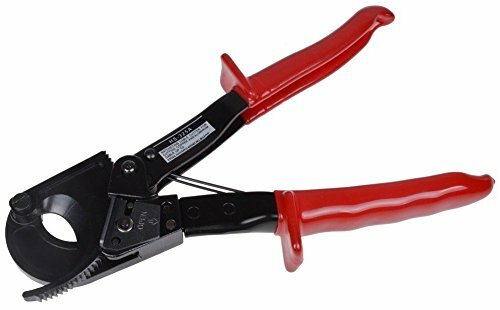 Steel Dragon Tools 40A Handheld 6 Ton Hydraulic Cable Cutter for Aluminum and Copper up to 1.5"
Muzata Stainless Steel Wire Rope Aircraft Bicycle Cable Cutter,Up To 5/32"